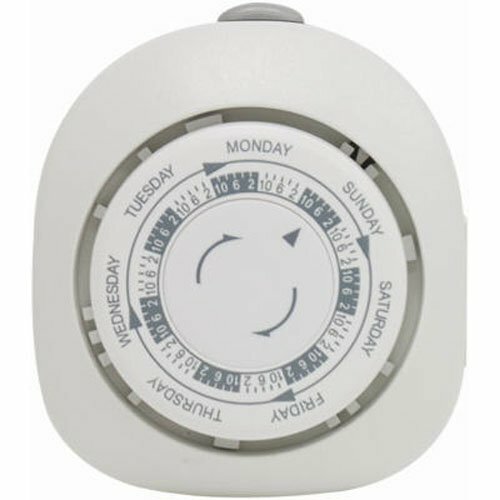 Help keep your energy costs low and feel secure with the GE 7-Day Mechanical Vacation Timer. Effective with any electrical device, the timer is pre-programmed to turn a lamp on and off during late AM and PM hours. The GE timer also has a random sercury feature, perfect for controlling lamps, seasonal lighting or deterring crime when you are away. Works with CFL, LED and incandescent lighting. For indoor use only.